Question: Do I need to refrigerate the salsa after opening? Answer: No. Our Salsa’s do not require refrigeration. Tip: To prolong freshness, ensure that you squeeze the air out of the package before closing. Question: What is the shelf-life for El Gallo Salsa’s? Answer: Our products have a shelf life of up to 12-18 months while stored at room temperature. Please check the “BEST BY DATE” on the package which ensures freshness if consumed by date indicated. Question: Is Salsa El Gallo available on Amazon? Answer: Yes, Salsa El Gallo is available on Amazon. This is an ideal way for Amazon Prime members to order our salsas. Question: Why does the heat level vary sometimes on the same type of salsa? Answer: We pride ourselves in using only natural, fresh ingredients. 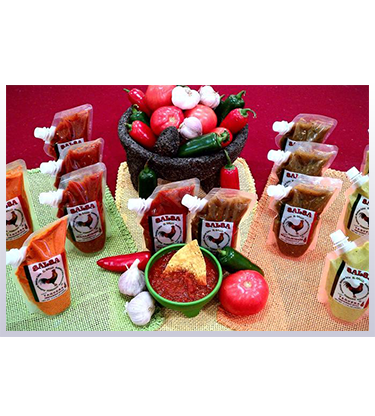 At Salsa El Gallo, we do not use any flavor extracts to “make” our salsa hotter. Some peppers are hotter than others, so occasionally some batches may vary in heat levels.